Come and relax with your friends and great locally made wine!!! 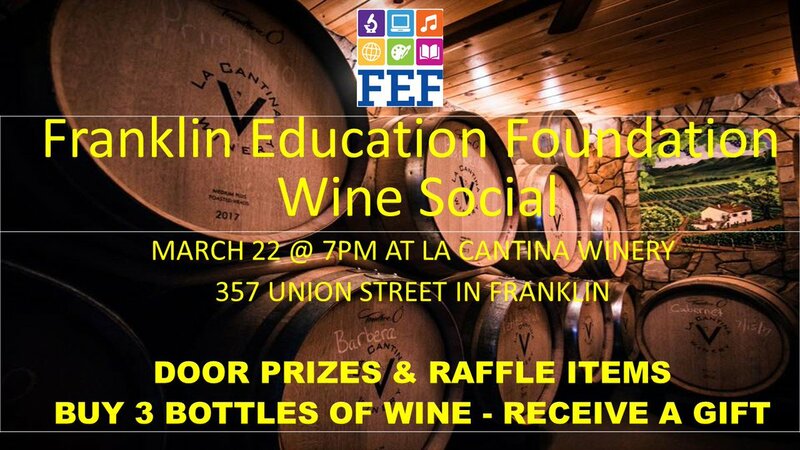 Your FEF support benefits all of our kids in the Franklin Public Schools. We'll have door prizes & raffle items. PLUS - buy 3 bottles of wine and receive a gift!